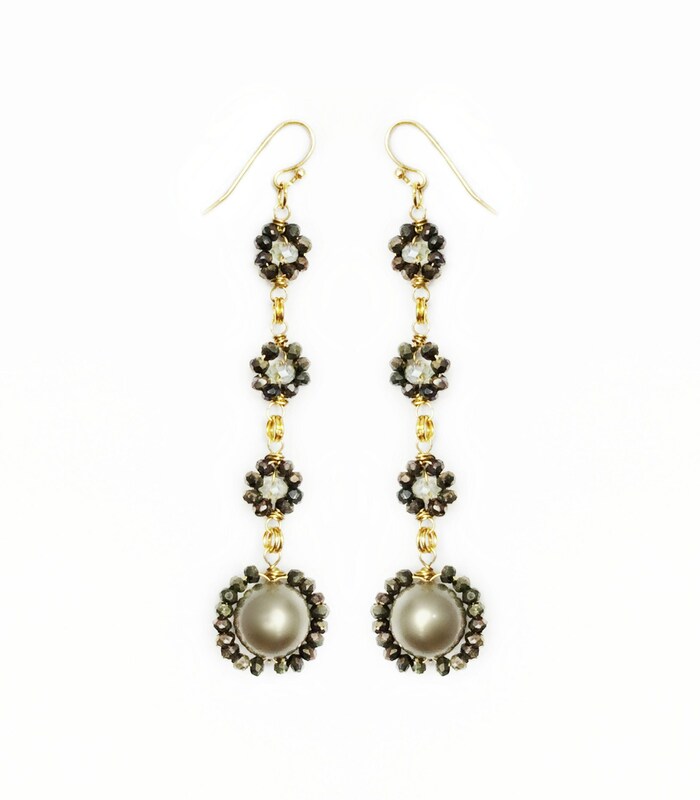 Pearl and pyrite wire wrapped flower earrings. 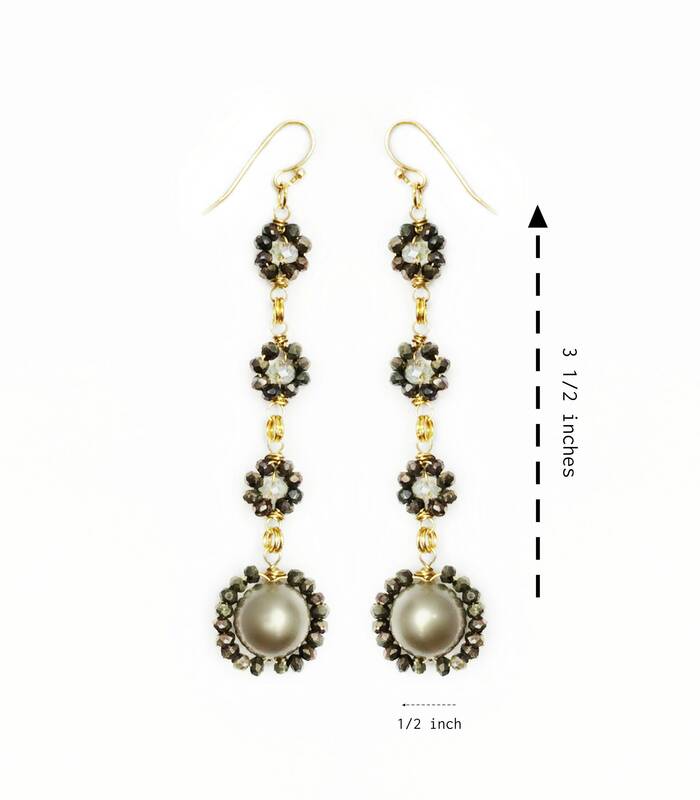 These earrings are 3 1/2 inches in length and 1/2 inches in width. These statement earrings add just the right amount of sparkle for any occasion. They are light in weight and comfortable to wear.